In reaction to reading this article (see link). Disclaimer: I do make generalizations throughout this post. 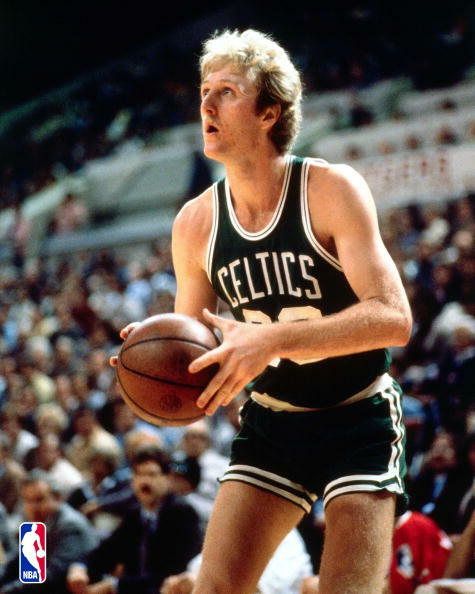 About 30 years ago, Larry Bird was given the title "The Great White Hope" at a time when African American players began to dominate the game at the pro level. This wasn't a title Larry Bird asked for or wanted, but the NBA was pulling some of their lowest ratings, and the average white American was looking for a hero. As an Asian American male, finding players that we relate with are far and few in between. Even pooling all pro athletes of East Asian descendant into a large group including mixed raced athletes, the list is quite short. As a group of men, we have spent years letting the world know Hines Ward is half Korean and Patrick Chung's grandpa is Chinese. We have put our hopes in Michael Chang as the last real Asian American athlete to win an major event. We tell tales of Timmy Chang, a quarterback who for a while held the record for the most passing yards in a Division 1 career. Unfortunately, no one saw or cared about him because he played for the University of Hawaii. I still remember the day I heard that a Chinese player was predicted to go first overall in the NBA draft. I was filled with an odd excitement and didn't care that I had never been to China and the only thing I had in common with him was the fact we had black hair and my last name also had one syllable. Not only was he Chinese, but the rest of the world thought he was going to be good. There was something both exciting and embarrassing watching Yao Ming in his first few games, but I will never forget the way Yao played against Shaq right after Shaq made some lighthearted jokes about Yao Ming's nationality. I remember being teased for the oversized Yao Ming jersey I wore to school the day of a big Rockets game. Honestly, I thought I would grow into it, but who knew that I wasn't going to be over 6 feet tall like my older brother. Yao Ming was successful, but he didn't realistically change any of the common beliefs that Asians could make it in the NBA. I am not here to undermine what Yao did for the game and for China, but he didn't alter the stereotype of most Asians as short, not athletic, and lacking of the physical tools to make it in the NBA. Yao was a freak of nature, a rare yet amazing creation of genetic make up. Stereotypes always stem from some kind of fact or experience, and it is no different when it comes to race. The problem is that our society has trouble changing these identities that were not only created decades ago, but most likely were generalizations made by another group of people that had very little interaction with that race. One of the most famous stereotypes that has been documented in Hollywood is "White Men Can't Jump." Ironically, the white majority is still facing many barriers today. In the same way Larry Bird was crowned the great white hope, ESPN analysts are looking to crown the next great white American and have even led the media to create buzz on Kevin Love. Many African American athletes active and retired have said on national TV that their eyes light up when they see a white man guarding them. Rarely do we see white athletes in positions like running back or deep threat receiver. Instead, they have filled the role of slot receiver and tight end. In the same way, we still rarely see a black quarterback. Jordy Nelson said it best when he claimed being white helps him as a wide receiver because the league underestimates his speed and athletic ability. Yet in the same interview, he did not deny that he feels a little more confident when the defensive back looking across the line of scrimmage is white. Asian men have been buried under unflattering stereotypes for decades and have willingly conformed for the most part. We tend to go about our business, succeeding in ways society expects us to. Lucky for us, these so called stereotypes seem to fit the new economic climate. The most attractive jobs in this bad economy are in computer programming and finance, both industries that Asian males seem to thrive in. We have a growing influence in the workplace and in the fast paced tech world that is now shaping American culture. There are more and more Asian artists on YouTube and succeeding in ways our immigrant parents believed to be impossible. For a long time, it has been common for Asian women to date men outside of the Asian race. Sometimes Asian men joke about it, other times they are secretly frustrated. Yet rarely growing up did we meet many Asian men married to white women. I admit that I tend to assume a mixed child has an Asian mom. Of course this is not always true, but I think it is safe to say that they are in the majority. Asian men have carried a chip on their shoulders for years, feeling like Hollywood only casts Asian males in a nerdy or weird light (e.g. The Hangover) and it's the reason sketches like "Yellow Fever" by WongFu Productions appear on YouTube. But, I believe times are changing and Asian men are becoming more vocal and confident in different aspects of life. Although it may take some time before we see an Asian American male mainstream musician or lead actor in a Hollywood drama, we have seen many Asian men begin to find success in business and politics. Jeremy Lin may be just a regular basketball player if he were Caucasian, or at most a feel good story of an underdog like a Danny Woodhead. Instead, Lin has become a cultural sensation since his junior year in 2009. For us, he was an inspiration for simply performing highly at the Division 1 college level against top schools like the University of Connecticut and Boston College. Yet through hard work, dedication, and strong faith in God, he has found his way into the NBA and has shown the ability to succeed at the highest level of basketball in the world. Jeremy Lin is 6'3" and although in the NBA that is well below the average, it is safe to say most Asian men will not reach that height and most will never be able to dunk. Nevertheless, I hope that Jeremy Lin will find longevity in this league so that for the next two decades, Asian American children can imitate a Jeremy Lin crossover at the playground and have the belief that they too can make it to the NBA. Lin didn't choose to have this title nor does he owe it to us to carry this burden. But from what I see, he is up for the challenge and he won't let the pressure or the doubters keep him from moving forward. In an interview after his game with Utah, (Game Recap) Lin spoke of how difficult the past year had been, yet we all know he kept with it and kept working hard. Jeremy Lin's style of play can be admired and imitated by kids around the United States and maybe one day, we will have more and more Asian Americans finding opportunities in professional sports. Finally, we have an example to keep us from limiting our dreams. 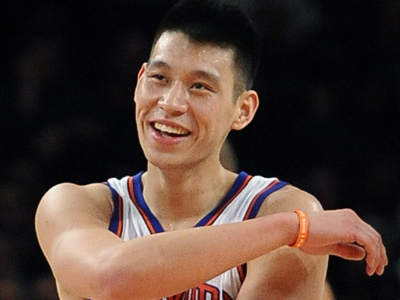 Jeremy Lin, you are the "Great Asian American Hope" and I want to thank you. well articulated article. JLin being PG, in my opinion, have made him the spotlight of new NBA sensation. Credit also goes to Mike D'Antoni. The full support of the head coach and as a PG controlling the ball, JLin had an ample opportunity to show the world what he can. Yao Ming, being the rare example, had to adjust to American culture in his early years and his being center forward was a bit slow to catch on the news. The GCAST - Episode 2.5 - Oscars!